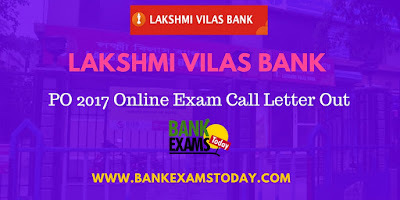 Note: Lakshmi Vilas Bank is also sending an E-mail and SMS communication to all eligible candidates for them to download their respective admit cards. However, LVB will not be responsible for any E-mail transmission failure due to in valid/incorrect E-mail address or due to insufficient mail box quota. Candidates are also advised to look for the same e mail in the junk/spam folders.